Some struggles and some passions really do give good results, and PVR's food garage is one such example. A restaurant started by three engineering students Praveen, Vijay, and Rajesh who did everything on their own, right from designing to executing beautiful decor, menu, and food. A beautiful ambience with those dim lights, amazing decor, and garage tools, with the highway on top, this place can accommodate 30 people. They also have separate cabin type for couples who prefer private dining. Coming to food, we were served Chef's Special starters. We actually requested them to serve a little portion of each that would be sufficient for four of us so that we could avoid wastage of food. We tasted the Mutton Chopllete which were like mutton cutlets. They were rich in flavour and spices, they had a tangy flavour which was just amazing. Next up was Kodipuri chicken, which was chicken kebabs with some curd used for marination. Again, it was rich in flavours. We also tried the Thetchedi Kebabs, similar to Kodipuri chicken, it was a little spicier and more roasted. Their stuffed chicken which had cheese, finely chopped ginger garlic sandwiched between the tender chicken and was tossed in honey soy sauce to give it a honey glazed flavour, was absolutely delicious. The buffalo chicken wings are also worth trying and are one of my favourites from this place. Their butter garlic prawns were good too. Though I'm not a prawn lover, I loved this one. They were well-cooked in butter and garlic with egg coating. 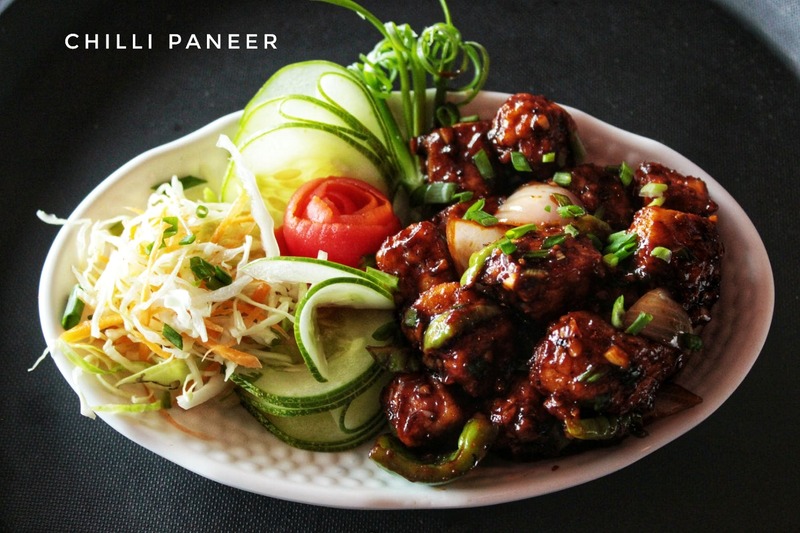 Other than this, I tried chilli paneer which had soft chunks of paneer wrapped in soy garlic sauce. It was a little sweet and spicy. For the main course, we ordered their Lava Chicken that was cooked in tandoor and then mixed with a very sweet, tangy cheesy gravy. We relished this delicacy with their soft and perfectly cooked naan bread. We washed everything down with a chocolate shake which they are famous for and it was really amazing.